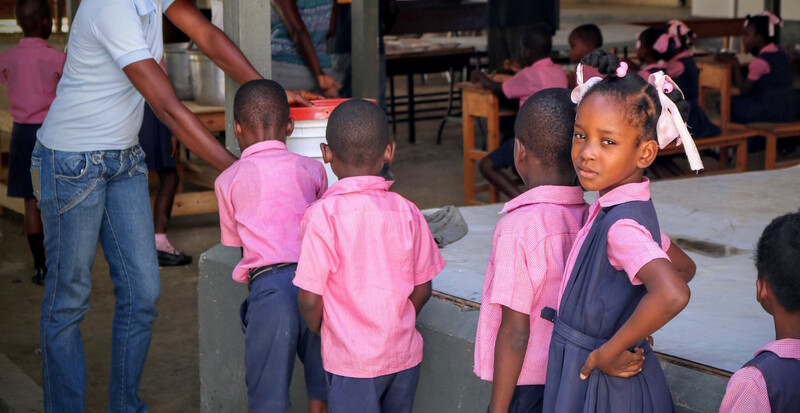 Forging Futures is dedicated to feeding, educating, and empowering children in Leogane, Haiti. Each student attending our schools is provided with a nutritious meal. However, too frequently, this may be the only meal of the day. Education is important, but it is hard to learn when you are hungry. For this reason, ensuring our schools provide a meal to the children is critical. Only one half of Haitian children attend school. 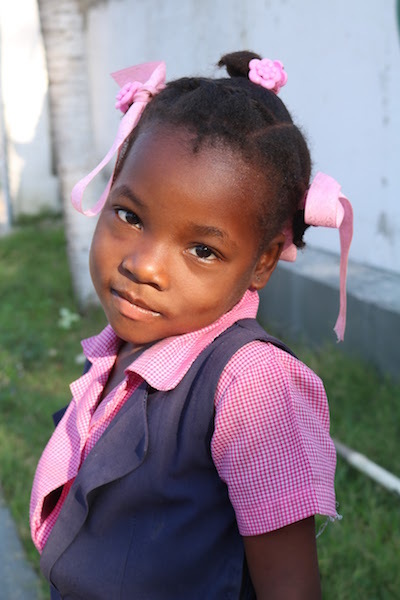 For the majority of Haitians, the state (public) schools are very expensive. Private schools are more accessible to the hard working poor because they are supported by non-profits or religious communities which bear the cost of tuition. We believe that education is the best way to empower Haiti’s children to create opportunity for themselves and their families. Many of the students that first started in Matthieu are now on the threshold of university studies. Many of our graduates go on to enter fields such as nursing, engineering, computer science, and architecture. Yet opportunities for Secondary and University Education are mostly out of reach for most Haitian students. The reason: lack of funds. Talented kids, otherwise qualified students, reach a dead end. Their dreams for the opportunities that Education offers are dashed. It does not have to be this way. We can make a difference. Forging Futures in Haiti vows to make this dream come true. Enrollment in an excellent Haitian University costs $3500 a year. Ten Dollars a Day! On January 12, 2010, a 7.0 magnitude earthquake hit the small Caribbean nation of Haiti, a nation already suffering with the lowest rates of GDP per capita income and Human Development Index rankings in the Western Hemisphere. The country of approximately 10 million has since grappled with extreme poverty, the spread of HIV, cholera, and malaria outbreaks, and a crumbling infrastructure that has yet to regain its strength. Low-skill jobs are especially scarce, as Haitian agricultural workers cannot compete with U.S. food aid prices, and deforestation has ruined much of its previously nutrient rich land. 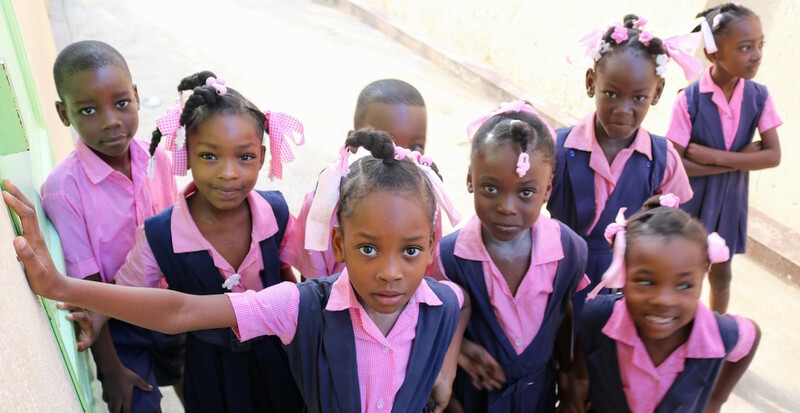 Forging Futures in Haiti, Inc. was formed in 2014 when a group of like-minded people, who have done charity work in Haiti since 2002, had a desire to do even more. Simply put, life is hard in Haiti. Skilled jobs are scarce and those qualified to fill those jobs scarcer still. The reason: lack of education. 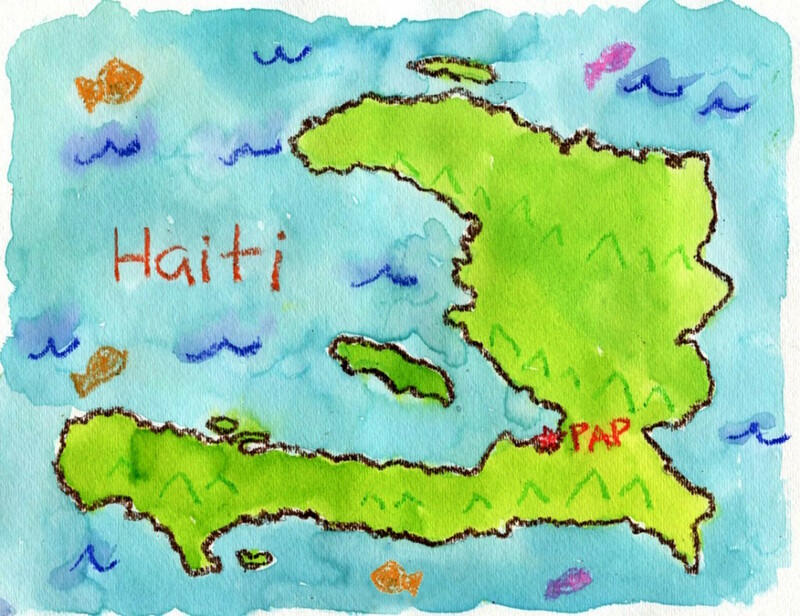 We began our work in Haiti in 2002. We established Forging Futures in Haiti because this presented us with the most effective and efficient way to educate Haitian children. Over the intervening years, we constructed and financed 6 schools in the region around Leogane. Since the earthquake, two have closed. Now we have four schools with an enrollment over 600 students and a staff of 45 teachers and administrators. Why Haiti? Because this work is the right thing to do and we are happiest when we are doing it. 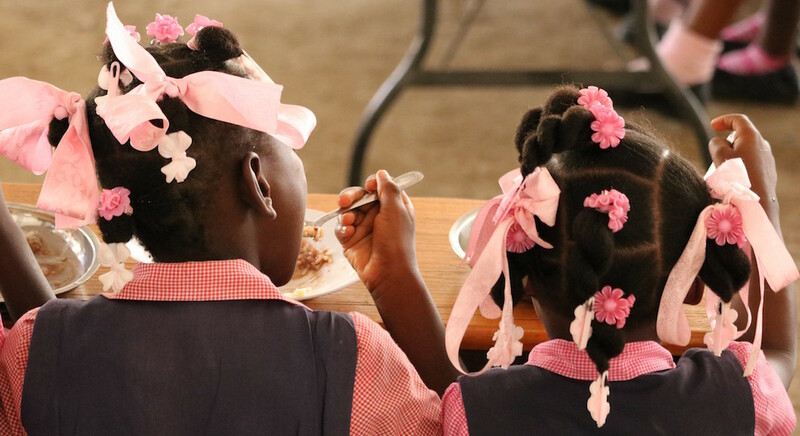 How much does it cost to provide a school lunch for a student in Leogane for one month? 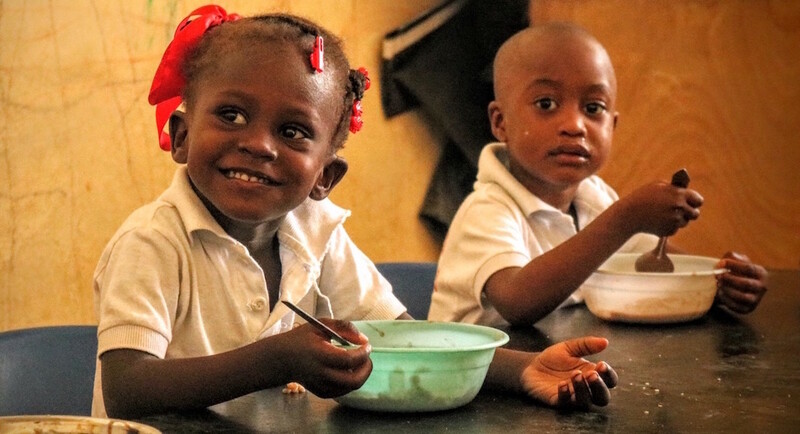 For the price of a latte, you can provide a month of school lunches for a child in Haiti. Coffee is getting more expensive anyway, so why not put that $5 to better use? Provided over $6,000 in funds to aid in school lunches. Obtained over $30,000 from various generous donors to supply salaries to the teachers and staff at Matthieu. Sold Haitian art that was purchased in Leogane. Raised $30,000 to be applied to teacher salaries and school lunches. Gifts totaling $10,000 were used to provide nutritious lunches for the children. 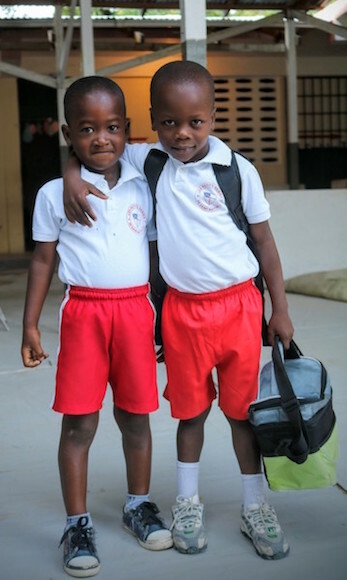 A gift of $40,000 enabled us to financially support the faculty and students of 7 Haitian schools. Earthquake devastates Haiti with the epicenter located in Leogane, Haiti. A gift of $10,000 provided 10 laptops and carts for the school in Matthieu, Leogane. A gift of $8,505 provided musical instruments of various kinds for the students of the schools in Matthieu, Leogane. A gift of $50,000 assisted in the purchase of a new orphanage home and the subsequent relocation of over 100 physically and mentally challenged Haitian children in Croix de Bouquet, Haiti. 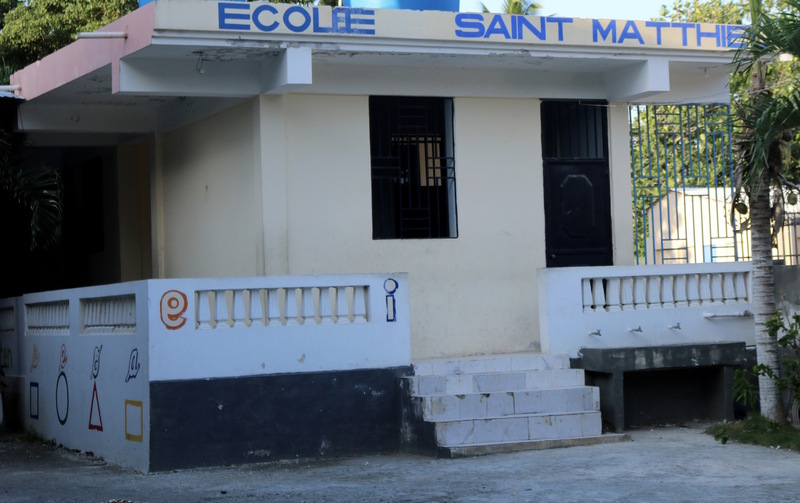 A gift of $75,000 added an extension to the school in Matthieu, Leogane for additional classroom construction, as well as a new Administration Office.